This is no act of God. A terrifyingly plausible million-copy selling debut disaster thriller. When the lights go out one night, no one panics. Not yet. The lights always come back on soon, don't they? Surely it's a glitch, a storm, a malfunction. But something seems strange about this night. Across Europe, controllers watch in disbelief as electrical grids collapse. There is no power, anywhere. A former hacker and activist, Piero investigates a possible cause of the disaster. The authorities don't believe him, and he soon becomes a prime suspect himself. With the United States now also at risk, Piero goes on the run with Lauren Shannon, a young American CNN reporter based in Paris, desperate to uncover who is behind the attacks. After all, the power doesn't just keep the lights on—it keeps us alive. 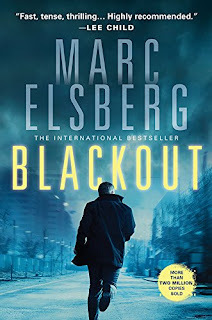 Well what a book to start with by this author, I mean we all have been through power outages but this one has an evil twist to it . When the lights go down everyone thinks that oh it will come back on . But as the electrical grids across Europe start to fall and no one knows what is going on . When a former hacker tries to figure it out he ends up becoming the lead suspect in the case . Piero must figure out what the heck is going on with the help of a young CNN reporter they must figure it all out before the world goes into anarchy . 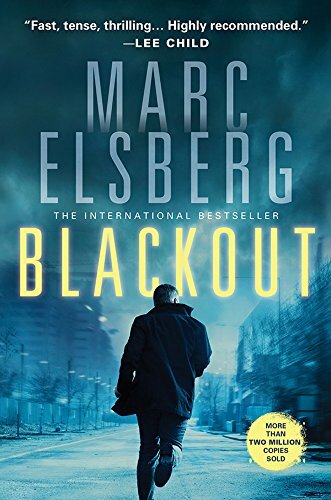 This book has been out for awhile overseas but this is the first time it was translated into English for us thriller readers . When I started this book I was omg what am getting myself into. I felt like I was lost at the beginning . But by chapter three I got the gist of what was happening and then I got sucked into the story big time , it had me thinking wow this could really happen in this day and age . Anyone could hack into anywhere and wreak havoc on the unsuspecting people . It actually gave me chills as I was reading , and thoughts were running through my mind the whole time what would I do if it happened here . The characters are well developed and you actually want to cheer for Piero and Lauren as they fight to figure out what is happening . Piero is trying his best to figure everything out and he being looked at as a suspect . He is a great anti hero . The place in Europe are their own characters all beautifully written with the undertones of chaos could ensue with each grid falling down . The author takes us on an European adventure and doesn't leave anything out . The story shows how we as a world community depend on certain things and when those things are taken away and held at ransom by an group of people pushing their agendas . Power being one of those things that we are all connected with some way or other . How well are your ready to adapt when the worlds governments are way too slow to act . Those are just some of the questions you are left asking yourself .